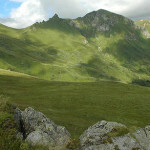 The Auvergne region is one of the great secrets of France. It’s a region of natural beauty and dramatic landscapes, located midway between Paris and the Mediterranean, anchored in the centre of France by the Massif Central and almost 100 volcanoes. From the stark Monts du Cantal in Salers and the Puy Mary area, to the lush green fields and gardens of Vichy, Auvergne is a very diverse region. Clermont Ferrand is a great city to base yourself as from here you can explore the region or just relax and unwind. 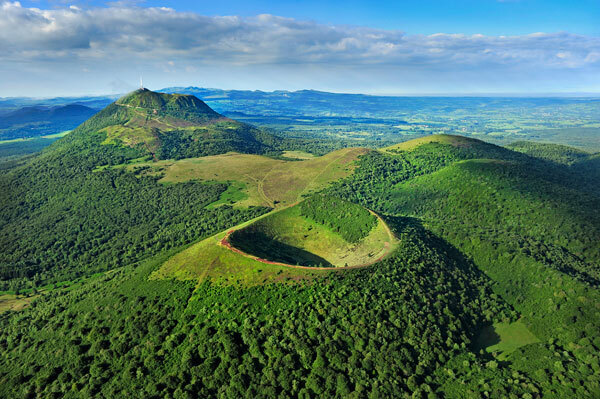 The famous and thankfully dormant Volcano Puy–de-Dome is just 6 miles away; at 1,465m high it is the largest though not the tallest in this chain of volcanoes. Within half an hour of arriving in the Auvergne, I was at the top of it. While some brave souls grabbed pitons, those metal poles that help to anchor climbers, and tied ropes round their waists, ready to shimmy up the side, I went up on the train. The views from the top are sensational. You overlook many of the extinct volcano craters that the area is famous for, the summit dominated by massive telecommunications antennae that sits alongside a Roman Temple which was undergoing restoration. Back down in the city I based myself in the Hotel Mecure in the corner of the Place de Jaude, Clermont’s largest square. It’s a pleasant place to sit in the evening with a glass or two of wine and watch the world go by. From here everything is within walking distance, though there is a fairly new and exciting Translohr transit system which is great fun. Clermont is a dark city architecturally, though it has many stunning buildings they are nearly all built out of black Volvic rock, giving it a very distinctive look. Now whilst I would have been happy just to stay and explore the lanes and shops, including the many wine cellars that run under the city there was a lot more to see and with the aid of a hire car the next morning I headed a short distance north to the town of Riom. 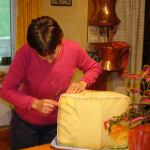 Auvergne has many delights to please foodies. 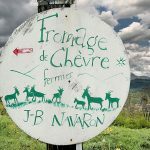 Saint-Nectaire, Fourme d’Ambert, Cantal, Salers and Auvergne Blue Cheese are some of the famous cheeses sold in all the markets or you can buy direct from a cave. On top of these specialities, you have the top quality ‘charcuterie’, cured meats, sausages, and a local andouillette (though you need to be a fan of tripe to enjoy that one). Don’t leave without trying the traditional petit salé made with green lentils from Le Puy or stuffed cabbages, or turfed potato cakes. And, in autumn wild mushrooms are used in many dishes – guaranteed to titillate your taste buds. 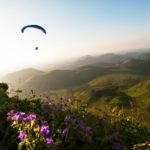 The Auvergne is a real treat, a trip here leaves you revitalised and re-energised and there’s nowhere else quite like it.